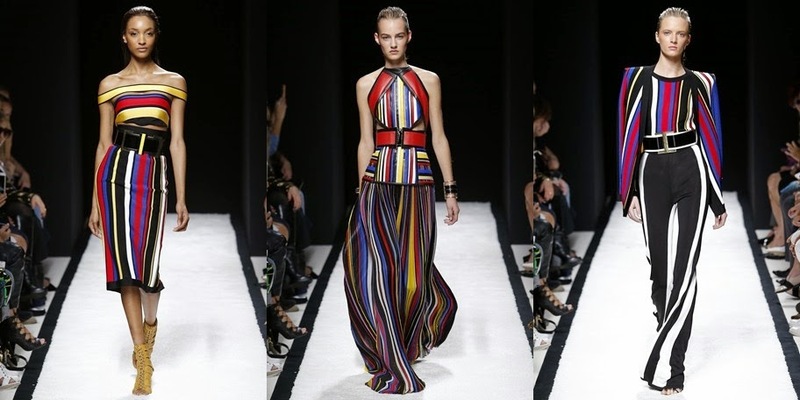 I am crazy about the Balmain SS15 collection that was unveiled in Paris earlier today. The show started with striking black and white pieces but ended in a clever display of primary colours. Created in an array of materials and textures, the strong graphic stripes and grid patterns make this collection unforgettable. It's safe to say that Olivier Rousteing has set the bar high for Paris Fashion Week. love the bold stripes!!! awesome collection! The white jumpsuit is amazing!